Riad Aylal kohteessa Essaouira, Marokko: Varaa nyt! 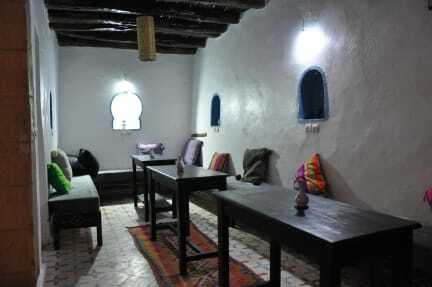 Featuring free bikes and shared lounge, as well as a restaurant, Riad Aylal is located in Essaouira. Boasting a 24-hour front desk, this property also provides guests with a terrace. Free WiFi and room service are provided. Discover the Riad Aylal Essaouira, a haven of peace, confidential and intimate with the city of Essaouira. The area is popular for cycling, and bike hire and car hire are available at the accommodation. Othello Garden is 200 m from Riad Aylal, while Viewpoint is 4.1 km away. 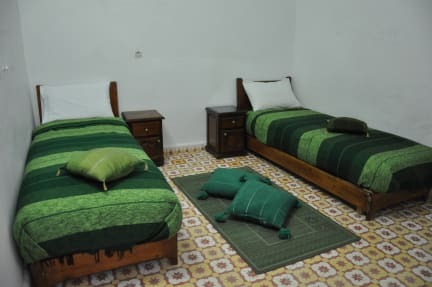 The nearest airport is Essaouira Mogador Airport, 15 km from the guest house. Rooms come complete with a private bathroom equipped with a shower and free toiletries, while certain rooms at the guest house also offer a seating area. Guests at Riad Aylal can enjoy a continental breakfast. Taxes not included - occupancy tax 15 MAD per person per night.